With only 2 ounces of chicken per serving, then tons of veggies this is a super low calorie meal packed with tons of yummy flavor! Cube chicken into desired chunks and set aside. Add onion & celery, and cook until tender, stirring often. 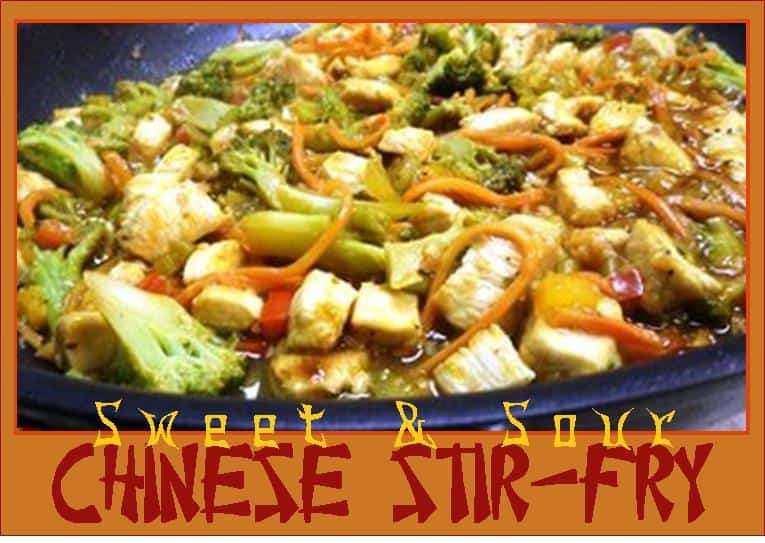 Add sesame seeds and chopped garlic, stir to mix together, turn up heat to med-hi, and add chicken. 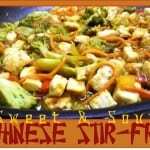 Stir-fry until chicken is thoroughly cooked, then add bell pepper strips, carrots, broccoli florets, and sweet and sour sauce. Stir and turn down heat to low. Cover and simmer for about 10 minutes until vegetables are soft and tender. *I add a tablespoon of water or chicken broth, if it begins to get a bit dry while cooking.